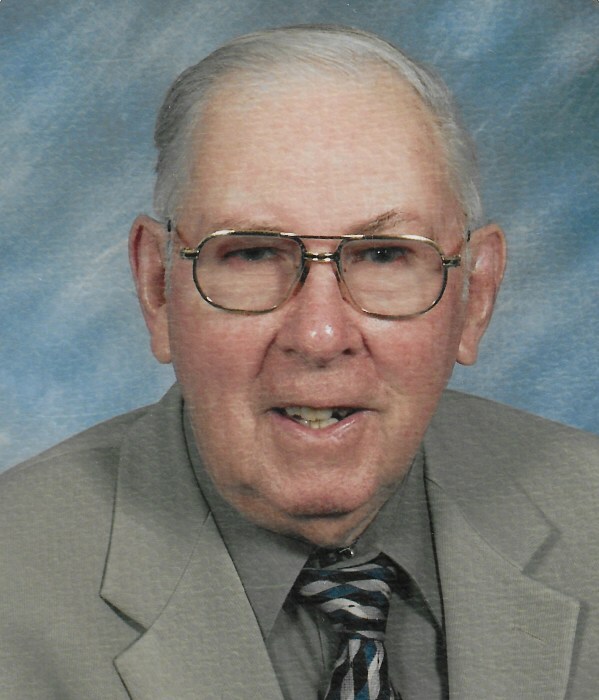 Jack A. Oxenrider, 95 years, of Bryan, passed away Friday, February 1, 2019 at Genesis HealthCare-Bryan Center, with his family at his side. Jack was born July 10, 1923 in Williams County, Ohio, the son of the late Carmon Dale and Electa (Stockton) Oxenrider. Jack was a 1941 graduate of Bryan High School. He was a WWII Navy veteran. He married Lenore Ridenour on July 14, 1945 in Gulfport, Mississippi, and she survives. Jack was a lifelong farmer. He was a member of First Brethren Church, where he served as a Deacon and a Sunday School Teacher. He was also a member of the Bryan American Legion Post 284 and the American Polled Herford Association. Jack enjoyed farming, bowling, his church, and mostly his family. Surviving is his wife, Lenore of Bryan; three children, Dr. Jack (Dodi) Oxenrider of Middlebury, Indiana, Kathy (Ralph) Nicholls of Bryan and Ann (Dr. Dennis) VanDuyne of Ligonier, Indiana; seven grandchildren, Von (Tobi) Oxenrider, Aaron Oxenrider, Reece (Cheri) Nicholls, Ashleigh Nicholls, Reid (Jennifer) Nicholls, Adam (Kristin) VanDuyne and Alex (Emily) VanDuyne; 15 great-grandchildren. A gathering of family and friends will be held from 3:30 – 4:30 p.m. Tuesday, February 5, 2019 in the Fellowship Hall of First Brethren Church, 13050 County Road C, Bryan where you can share in Jack’s favorite snacks and other refreshments. A Celebration of Life will begin at 4:30 p.m. in the church sanctuary with Pastors Brent Sloan and Sam Shultz officiating. A Private service and burial will take place earlier in the day on Tuesday with Military Graveside Rites accorded by the Bryan American Legion Post 284. In lieu of flowers, the family has requested that those planning an expression of sympathy to consider memorial contributions be made to First Brethren Church, 13050 County Road C, Bryan, Ohio 43506 or to the charity of the donor’s choice.